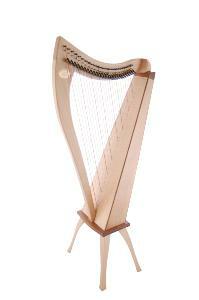 A high performance, portable 26 string harp with a strong, resonant sound from Dusty Strings. 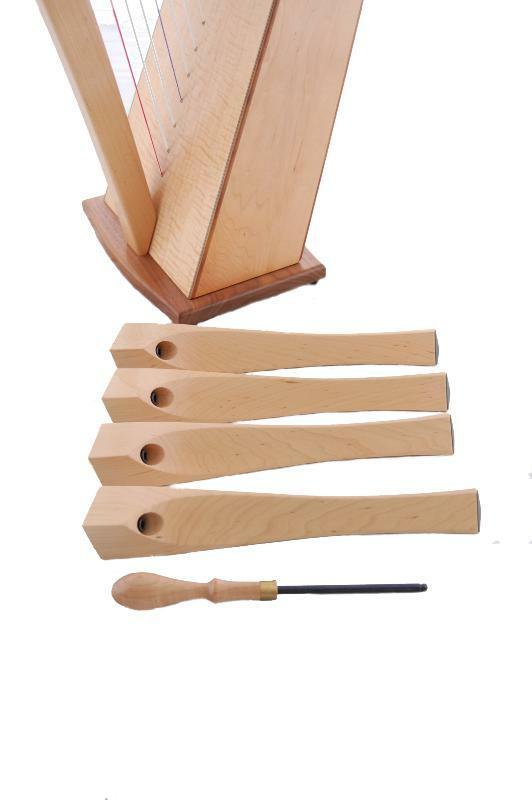 This three and a half octave harp has a sweet and surprisingly strong voice, with the added resonance that comes from all-solid wood construction. The FH26 can serve as a full-voiced beginner’s harp or a high-quality, portable travel harp for the established player. A child can set the FH26 on the floor and play comfortably while seated in a small chair. 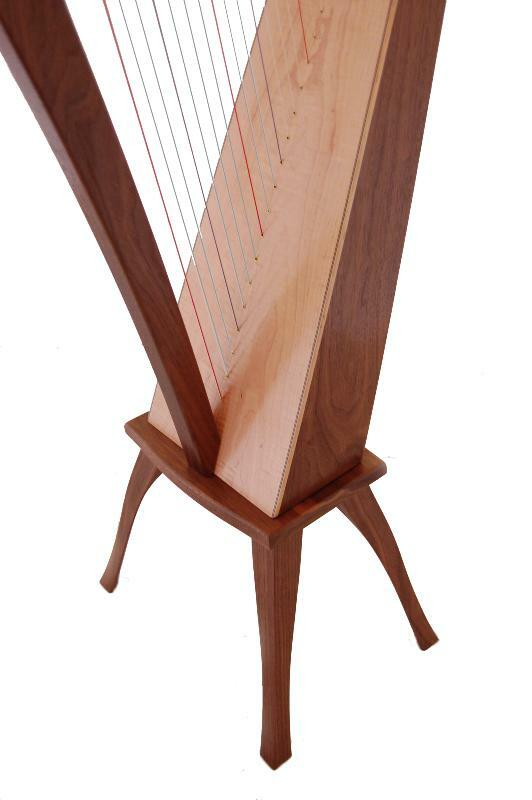 An adult seated in a standard chair can raise the harp to a comfortable playing position by using the set of matching legs. These legs thread smoothly into fittings set in the harp’s base and are installed in minutes using the included allen wrench. 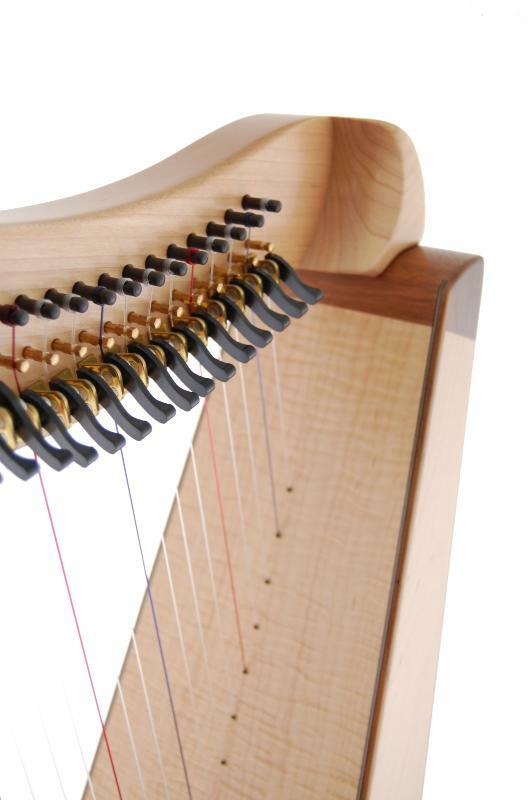 For travel, they tuck safely away in their own padded case that clips to the outside of the harp case. 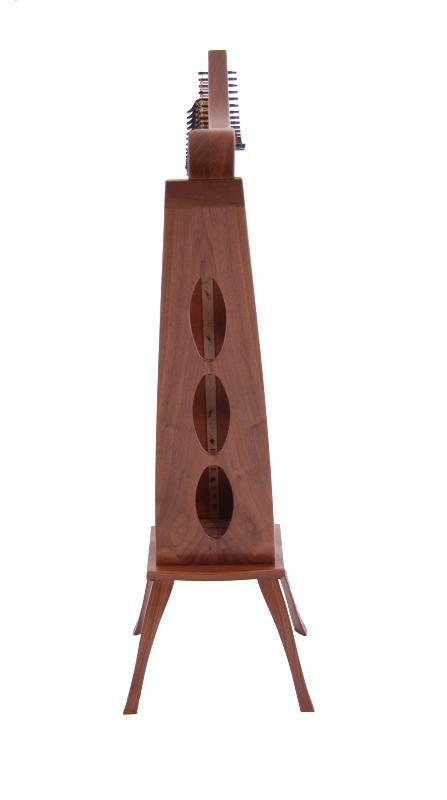 The accompanying images show the FH 26 in a maple and walnut finish (from left to right). N.B. Due to new CITES (Convention on International Trade in Endangered Species of Wild Fauna and Flora) regulations which came into effect on 2nd January 2017 there are certain restrictions on the importation and exportation of rosewood instruments. 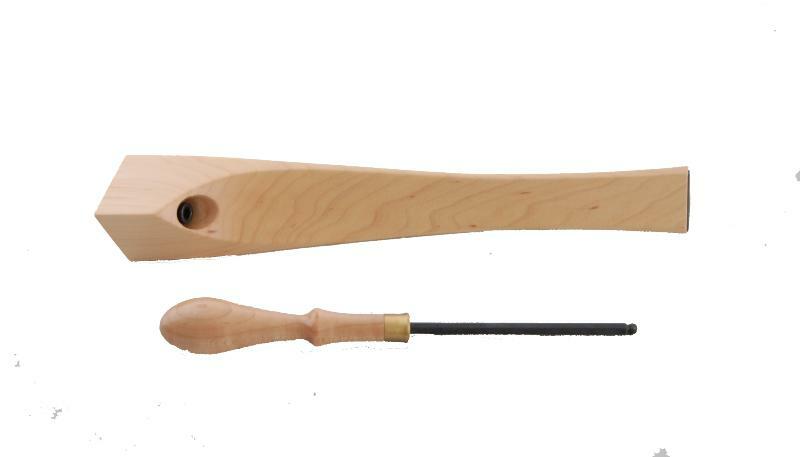 This includes bubinga wood, which is an option for Dusty Strings' FH 34 and FH 36 harps. 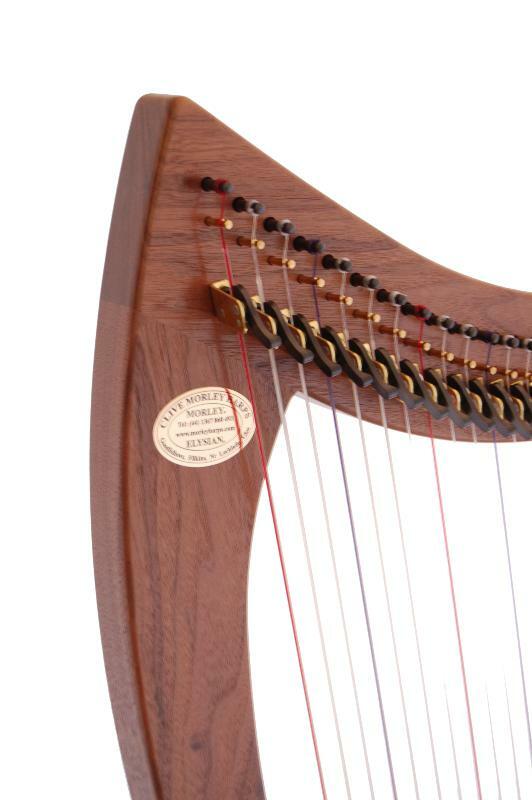 Dusty Strings are working with the responsible agencies in order to obtain the relevant permits they would require to export Bubinga harps, but this could take a few months. 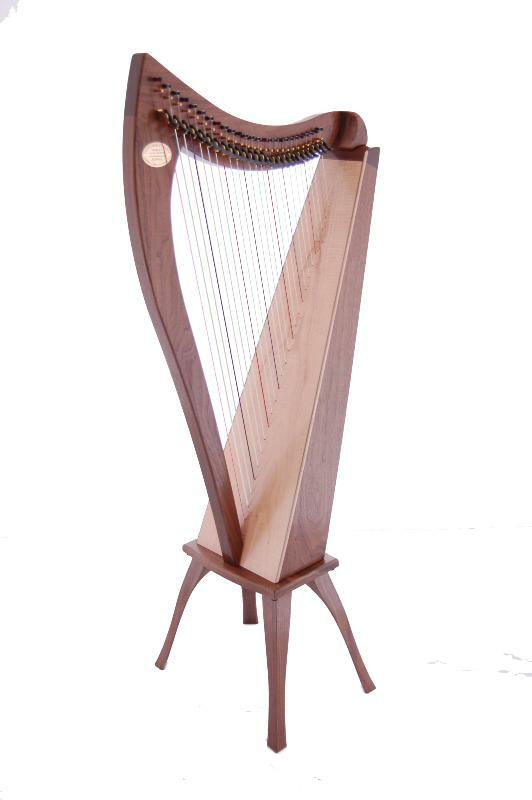 If you have any queries about the availability of bubinga harps, please contact us directly on 01367 860493.